We arrived at the airport early the next with the plan to connect through Delhi and visit Bodh Gaya. From past experience flying on Air India, I made sure there was ample time between flights. In this case, I planned four hours. It wasn’t enough. The severe pollution in New Delhi, the source of our flight, resulted in a delay of more than 5 hours. We missed our connecting flight and the chance to sit beneath the Bodhi tree. I don’t blame Air India for the delays. It was the result of decades of Nature abuse not airline negligence. My problem is with their treatment of us as we desperately tried to switch flights and make Bodh Gaya a reality. When the delay was closing in on four hours, I talked to their management about alternate possibilities. We could not go the next day because we only had 24 hours in Gaya and were due to fly to Varanasi the following day. They offered to reroute us via Patna and pay for a car to drive us the few hours to Gaya. Not optimal but acceptable if it meant getting to our destination. Close to the five-hour mark, I returned to their representative and asked for the promised boarding passes. He told us we would have to go to the desk in Delhi to get them. The Patna flight time was very close to our landing time I knew that would not work. I continued to talk to them and he said I would have the new boarding passes shortly and later was told they would be available before boarding. Past experience with Air India told me something was fishy so I was uncomfortable with the timeline. This dragged on and on. Boarding started and we went up and had our tickets checked for boarding. We asked about our new boarding passes. Coming right up he said. He ran toward the counters then came up near the plane. “Come, Come” he beckoned us to the plane door. He then told us to board and we would get them in New Delhi. He had been blatantly lying for the past two hours. At Delhi, we missed the Patna plane because, surprise, surprise, we were never booked on the plane. This was the final confirmation the Air India workers were lying through their teeth the entire time. In Delhi, management told us they never provide drivers so, if we flew through Patna, we would have to book and pay for our own car. Also, there were no more planes going to Patna on this day so the option was not viable. We worked with them to arrange for a flight the next day from Delhi to Varanasi direct. Sucky but we were stuck. For missing the plane, the Manager offered to put us up at the Centaur hotel, assuring us it was a ‘5-Star’ accommodation and they would also feed us. We get to the hotel and it looked trashy outside and inside. The first sign indicating problems was there were no other guests on the premises. The second sign, as we were being checked in, a cockroach ran across the counter. We arrive at our assigned room after walking across decrepit, stained carpet in a corridor with little lighting. In our room, there is a bottle of water that is already opened, the label removed. The cloudiness of the water told us it had been refilled. Trash is in the wastebasket. Seeing the lack of hygiene, I was worried about the quality of food we would be served. This was only the midpoint of our trip and I did not want a repeat of Morocco where I was so sick I could barely move. So, I made an executive decision (with permission from my wife), there was no way we were not going to stay at the decrepit Centaur hotel. I hopped on the internet with my phone, opened up Booking.com and found a Radisson Blue hotel within 1.5 miles of our location and booked it. It was a bit too far to walk especially with the air quality in Delhi being abysmal. I called down to the desk and had them get us a taxi. We gathered up our bags and left as quickly as possible. The Taxi was as decrepit as the hotel. It was held together by bailing wire and duct tape and rust that had not quite eaten away all the metal. Wiring was exposed on the inside. The instrument panel did not work. We did not care. It was running and I was desperate to escape the Centaur hotel which, when I checked online, discovered it was rated 3-star not 5-star as claimed by the Air India Manager. As we neared the Radisson the driver cut across a busy intersection and stopped. He aligned his car with traffic then proceeded to drive backward on a busy street for a few hundred yards to get to the hotel. I am sure this saved us a good 10 to 15 minutes in the traffic. The craziness of the act while not surprising had us both laughing in the car. Only in India, we exclaimed, only in India. The bottom line is, I will never ever again fly Air India. I can almost accept being lied to once. However, this was the 2nd time the airline outright lied to me. The first was two years previous when I was heading to Chicago and they outright lied about our connecting flight. 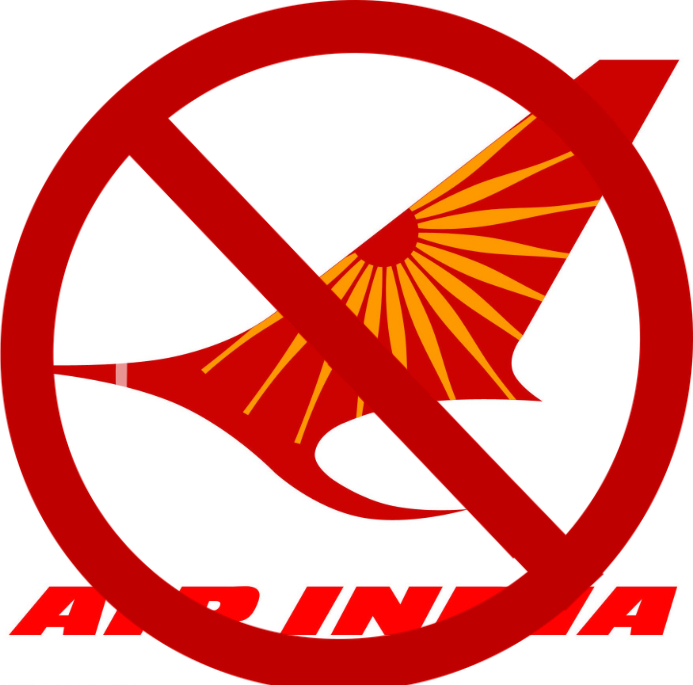 Air India lies, lies, lies! It seems to be a systemic problem not just the discourteous actions of a couple of people. It is an airline without integrity. Air India is an airline that cannot be trusted! This entry was posted in Travel and tagged Air India, Liars. Bookmark the permalink.